President Bush returned to the U.S. and left the country (Israel) in total confusion. Those who are certain that he is the famous "Gog" from the prophecies are very happy. Perhaps we are finally approaching the end of our exile, they think. Maybe we will see the Redemption in the very near future, Be'ezras Hashem (G-d Willing). Those connected to the right wing political parties, such as a lot of modern-orthodox Jews, are very upset because everyone is trying to set our borders back to the way they were in 1967. Worse than that, they're trying to give the Arabs the right to return to the areas they lived in back then. The people connected to the left wing political parties are happy. Finally Israel can be returned to the goyim (non-Jews). They think there is a lot to profit from that happening, since certainly Bush and the rich U.S.A. will over-compensate us for all the land we are giving away. But I'm sure the left-wingers won't be giving up their houses or cars or overseas vacations. On the contrary; they are certain that these things will become more available to them and in greater scales if that situation occurs. Yet, there is a great fear even among the most radical left-wingers; the fear that perhaps this time Hashem won't pull us out of the danger so easily like he did in the previous wars (the Yom Kippur war, the attrition war, the Sinai war, the six-day war etc.). True, we did suffer losses; sometimes, even great losses. But in the end we certainly came out on top. Now, however, this may not be the case. Even the most left winged politician can see that the upcoming danger is very different from any other danger the state has ever seen, since 1948 when Israel became a state. Their shelters will not help them, they will not help one bit. If a nuclear bomb hits the country, G-d Forbid, even if people sit deep inside of a protected hole in a mountain or underground and live - but when would they be able to come out? It would be too dangerous to come out of the shelter for several years after (because of the lasting effects of a nuclear weapon). 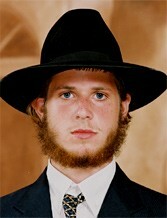 The happiest people of all can be found among some of the Chareidim - the Ultra-orthodox Jews, who know the truth. They know that we are facing the greatest danger, but they are happy because the Jews have been awaiting the coming of Moshiach for over two-thousand years and at last it seems the time has come. All the other Jews are miserable, each one according to his or her spiritual level. This is because they don't sense the truth; they don't understand and are not looking into the holy prophecies from the Torah, etc. They don't realize that even if a deep shelter was built, even if of the latest modern technology was used to build a shelter that can protect people from a nuclear bomb, if Hashem does not want specific people to live, they will not. So, then, how can we get out of this tremendous danger? The looming threat is not only of a war, it is also of massive natural disasters that await us and all kinds of other tragedies of which we are not aware. And there will be tremendous plagues, even worse than those that occurred in Egypt (in which at least eighty % of the Jews died). And who got out of Egypt? Only those who were truly devoted to Hashem and really wanted the Geula (Redemption). Now, too, only those who truly want the Geula, who truly want Moshiach and a world without an Evil Inclination, only they will be able to get through the upcoming difficulties of the Chevlei Moshiach (pre-Messianic pangs), the likes of which the world has never experienced till now. Only they will merit receiving our Righteous Moshiach, G-d Willing. What do people need to do now in order to be saved? I advise every Jew to take a good look both at the prophecies and at everything that is happening around us. I recommend that people do this. Hashem is sending us signs and threats from every direction. We must internalize them and worry about whether we have enough merits (from all the mitzvos we've done, etc.) or not, G-d Forbid. Perhaps we are not close enough to Hashem; perhaps there is some sort of lie within us that is completely occupying our mind and our heart. We must go inside ourselves with tweezers and pluck out every tiny flaw, every little lie upon which we have based parts of our lives. This is not intended for the secular Jews. It is intended mostly for the Ultra-Orthodox community, because if there is any truth at all it can certainly be found amongst them. One who learns Torah and lives a life of mitzvos must be closer to the King of All Kings, Hakadosh Baruch Hu (G-D). But in our day, with all the sheker (lies and deceptions) in a world of sheker, the sheker has found its way even into the Kodesh Hakodashim (holiest of places). We must extract it and therefore even the Ultra-Orthodox Jews must do self-examination. There will also be some secular and modern-religious Jews that will repent in a second, if they are presently almost on the verge of the Truth and just need an extra 'push'. But it will still not be complete repentance. It will be repentance only for the sake of saving themselves. The Ultra-Orthodox Jews need to be much closer to Hashem, since they have the whole framework of Torah and mitzvos. If they don't live with real kedushah (holiness), the judgment against them will be much harsher. If they are living the way they are supposed to, they will come to a very good end. And it won't even be an end; it will be a beginning [of a life of eternity and spiritual pleasures]. First, putting faith in the sheker; such as, believing that the Israeli Army can save us, that Social Security will support us financially, that the ministry of education will educate us, G-d Forbid, and so on and so forth. Second, the lack of kedusha that can be found everywhere now. The secular Jews of today are like animals in a jungle - anything goes and everything is permissible. You can either walk around undressed or cover yourself from head to foot, whatever the person feels like. The secular - gentile-like world has completely lost control. You can't find even an ounce of kedusha amongst them and yet the essence of Judaism is "Kedoshim tihiyu" (Vayikra- Leviticus, 19; 2) in English, "you must be holy". Third, there is no rebuke. People are doing whatever they please; they lack modesty and make their own decisions on how they should behave and dress and there is no one to tell them that this is wrong. And if someone does dare to comment or rebuke, people mock him and accuse him of horrible things. The Chareidim (Ultra-Orthodox) that allow the filth of the secular world to enter their world in so many ways are not connected to the Torah or to Eretz Yisrael and they will be harshly judged. The chareidim are the mitzva-doers and Torah keepers of each generation. Therefore, when someone from this group goes off the right path, he suffers more than people that are not keeping Hashem's Torah and mitzvos. All of AmYisrael were given the commandment "kedoshim tihiyu" (you must be holy) but those who are considered the example for others are obligated by Hashem to make the effort to be righteous. Women must be covered; they must wear opaque (non- see-through), long, broad (not tight or clinging) clothes. They must wear an appropriate head-covering that completely covers the hair and not a wig. They must be modest both in their speech and in the way they dress/behave. They must educate their daughters to be modest even while they are at school. The men must insist that their wives not go around looking like models. They must insist that their wives be true eshes chayils (women of valor) who build a proper Jewish home; a home where from morning to night everyone is doing the will of Hashem; a home of Jewish happiness that includes Torah and mitzvos and everything else pertaining to the will of Hashem. The men, too, must be modest; completely covering their bodies with clothes. True, according to the law they are not required to be completely clothed and covered, but if a man wants to take away all the partitions that separate him from his Creator he must do this. A man who prays without a long jacket or a hat, or wearing shorts, cannot be praying true prayers because this lack of modesty proves that his mind is in other, inappropriate places. There are also men who are dressed properly and wear holy clothes but their minds are also in inappropriate places. These men will be judged very harshly if they do not repent. 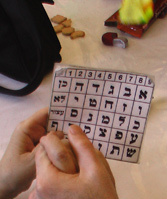 "Kedoshim Tihiyu" is the essence of Yiddishkeit (Judaism). If people tell me that their rabbis said the women are allowed to wear wigs, even long and attractive wigs, and I, a simple autistic person am saying that it is forbidden, any fool can understand that there isn't even a question here. 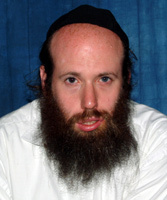 To wear a wig or not, is not even a question for a Rabbi because it is really obvious that it is forbidden. It would be like asking a Rabbi if you are allowed to eat pork. A woman wearing a long, attractive blonde wig, made from real hair, dressed in tight clothes with a skirt that is relatively short and tights that are see-through, causes men to look at her and this is forbidden! There are a lot of great Rabbis in this generation, as in the past generations that ruled that wigs are absolutely forbidden. The Beis Yaacov system has now adopted what's called the "Liba program": Slowly, slowly, they brain-washed themselves into doing things, such as giving secular exams from the government, learning material that is so goyish and Zionistic, that it's absolutely forbidden. Supposedly, this course of education is to prepare women to get jobs that will support their husbands in learning. Then, they can leave their children all day with nannies and run from job to job. In the best case they may become teachers at a girls' school. In the worst case they work in offices with men and this daily friendly contact is absolutely forbidden. When they do this, the Torah their husbands learn is not real Torah because the home is not a proper Jewish home. Such a woman is not really a Jewish mother anymore - a mother who spends the days taking care of her children; a mother who says the blessings and the Sh'ma with her children in the morning and at nighttime, who accompanies her son to his cheder (boys school) or to the ride that takes him to his cheder and if G-d Forbid, a child is sick, she is at home to take care of him, baking and cooking for her children, for her sons so they may have the strength to learn Torah, raising her daughters to be Eishes chayils and making sure her husband has everything he needs to be able to learn - this is a true, warm, Jewish home. Living a life of truth saves the family for generations to come. But nowadays, a lot of the chareidi (Ultra- Orthodox) families, where the wife goes to work and the husband goes to learn in kollel all day, a lot of these couples look like Barbie & Ken dolls. Although the husband wears tzitzis and the wife wears a wig, the expressions on their faces lack the true internal Jewish look. We must cry and weep bitterly over this loss - Jews that are dressed like Jews but don't look or act like Jews. Woe to us, woe to us! And worse than that, not only do they not behave like Jews, they make fun of Jews who really want to be true Jews; they coldly reject them. A person who is considered chareidi makes fun of another chareidi who wants to grow closer to Hashem by dressing more traditionally and by keeping more traditional customs, etc. They make fun of these 'traditional' chareidim and even embarrass them! Woe to us! There is a prophecy that says that only seven thousand Jews will receive our righteous Moshiach [chesed leAvraham maayan 3 nahar 22]. You wonder how this is possible? I will tell you how: Calculate how many Jews are truly searching for the truth and will therefore recognize Moshiach when he arrives. You must make this calculation according to people's pnimius (internality); the external looks are not enough. Every Jew has the option to return to Hashem. But they must make the decision to do so. Hashem very much wants to save us and to bring us back to Him. People that don't want to believe that only seven thousand will survive should take a look at our history [i.e. the flood, the destruction of the Temples, etc.]. We have to work hard now because Hashem DOES want to save us. But we must go inside ourselves with tweezers and pluck out every hint of the sheker (the deceptions of this world). Because even one aspect of the sheker can prevent us from seeing the truth. When a person has any connection to the sheker, it's like that horrible well known illness (Can...), may we never know of it, even a tiny, microscopic speck of it can kill the person. One gram of sheker out of a kilogram [of truth] is enough to ruin all the rest. Hashem is revealing to us now where the sheker is. This is a time of revelations of the lies [everything relating to the sheker of this world]. We must therefore realize where the sheker is and that it is causing us to sin. A person can sin, Heaven Forbid, but if he is sorry and wants to change his ways and knows that his sins are not the way of truth, even if it is hard for him to fight his evil inclination, he can still defeat it because at least he knows where the sheker is - he knows that it is indeed sheker; he just does not have enough strength to overcome it. However, so long as he feels bad about having it, he has a chance of defeating it. But a person who does not know where the sheker is, who is not really searching for it, even though he wants to merit being part of the Redemption, he has a problem. In the time that the Purim story took place, the Jews really wanted to repent. They sought out the sheker that caused them to sin at the great feast with Achashverosh. They realized that they did the wrong thing, did teshuva and therefore they were all saved. We must find and learn to tell the difference between the lies and the truth. Sheker - the lie - is anything materialistic that we feel we depend upon in order to succeed in this world. But the truth is only Hashem, Who created everything. And He is the ONLY power that can help us with every aspect, every necessity in our lives. And materialism, which is the sheker, is not only objects; it is also a way of life. There are people, whose lives are based upon freedom, doing whatever they want whenever they want. These people may not necessarily be people who like the objects of this world, but that [the freedom] is also sheker. There are people who keep mitzvos but are very dependant upon money as well as objects and this also the sheker. Every person must find their where the sheker lies within them, extract it and depend solely on Hakadosh Baruch Hu (Hashem). Hashem is now helping us a lot, for day after day He reveals to us all sorts of ways in which the sheker is expressed; ways that were once considered the "holiest of holies" of this world, so to speak [like the military, the government, money, etc.]. He is revealing the sheker, which is the essence of the modern world, to the whole world. But we have to understand the messages Hashem is sending us now and change our lives; we must purify ourselves and put our faith in Hashem and nowhere else. There really is not much time left. I bless all of Am Yisrael that together we will throw away the sheker and receive our righteous Moshiach with mercy and with joy.